Made in a traditional farm-gate style, these are a notch above your average wooden gate and are made to match our Post & Rail fencing. With great designs and a focus on manufacturing quality; the Classic entrance gates have heavy rails for added strength and dressed timber for a smooth finish. 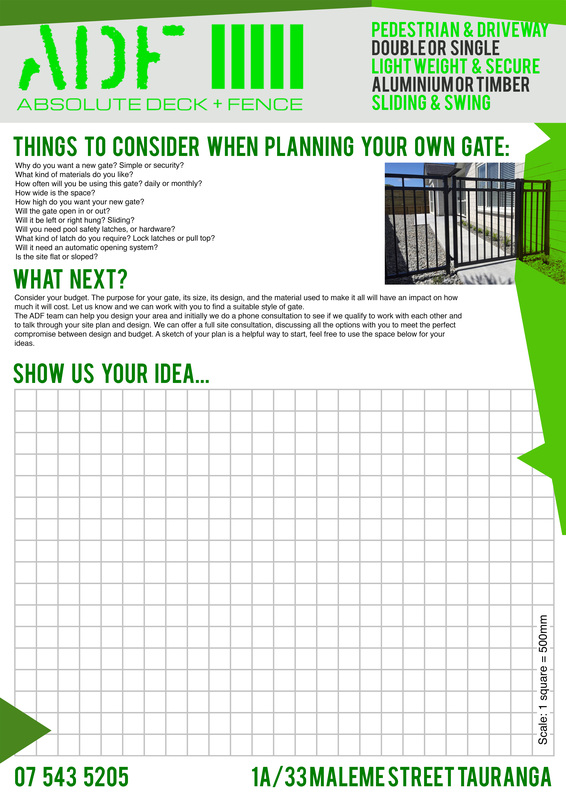 Ideal as driveway gates, pedestrian gates, or for access to paddocks. Our gates come fully assembled, bolted together with custom-manufactured hardware and latches that are galvanised and finished with a black powder-coat. All our aluminium and timber gates are manufactured in our Tauranga factory which means faster turn around times and more design flexibilty for our clients. All ADF gates include the highest quality of componentry such as locks, hinges and latches. Our custom made trellis gates are all manufactured in our factory in Tauranga. Trellis Gates can be welcoming entrance ways or hidden access ways as part of a fence. To learn more about our range of trellis options click here to head to our Trellis page. At ADF we only use DITEC automation systems. Because they are set and forget, you will get years of hassle free use from them. A qualified electrical contractor will install them. When installed, you will receive an electrical certificate on completion. ADF will help you finalise your plans and sketches, and along the way we will give you any professional recommendations we may have. The expert ADF team will provide a top quality solution that suits your needs. More often than not, what's practical is the best solution. Why do you want a new gate? Simple or security? What kind of materials do you like? How often will you be using this gate? daily or monthly? How high do you want your new gate to finish? Will the gate open in or out? If your driveway slopes up your gate will have to open out. Will it be left or right hung? Sliding? Will you need pool safety latches, or hardware? What kind of latch do you require? Lock latches or pull top? Will it need an automatic opening system? Is the site flat or sloped? For a driveway gate, we recommend a minimum of 3-3.5 metres. For a pedestrian gate, we recommend a minimum of 1 metre. Consider your budget. The purpose for your gate, its size, its design, and the material used to make it will all have an impact on how much it will cost. Talk to is and we can work with you to find a suitable style of gate. Whether you need a great-looking wooden gate to at the entrance to your home or at the end of your farm driveway, or whether you like the convenience of an automated gate to make sure your family are always safe, we have an option for you. A great looking set of driveway gates will not only enhance your entranceway, but also provides the necessary security to keep your family in and intruders out. Our driveway gates come in standard sizes to fit common driveway widths, or we can custom manufacture to suit your particular design or size requirements. Many of these designs can be carried through to your gate for foot traffic also. These classic timber styles will ensure your property stays secure for a long time period. We can design a 100% timber gate or a mixed material gate including aluminium framing and timber infill. Click through to see our vast selection of timber gate options such as Shadow clad, Picket and Sliding Gates. Our gates come fully assembled, bolted together with custom manufactured hardware and latches that are galvanised and finished with a black powder-coat. the best materials. Not only do we fabricate new gates, we expertly repair and alter existing gates as well. ADF prides itself in working with you from the initial plans right through to completion, we are with you every step of the way. We make sure the outcome fits your plans and budget, and we deliver a result you can be proud of for many years to come. The perfect match for our DuraPanel selection of fencing. These light weight aluminium gate options can be coloured matched and sized to fit your space. Swinging gates are the most cost-effective option when there is enough opening space, or when the entrance way is not level. They can be automated if required but are usually used when the gates are not opened frequently. With a luxury feel to them, Louvre gates will enhance your entry way to your home. Manufactured in aluminium material to your specific requirements, we can make your gate swinging or sliding, and are powder coated in your choice of colour to suite. Louvre fins are available in either 90mm or 120mm blades. Click the images to see them full screen. Many commercial and industrial properties require a high level of security to limit unauthorised access during work-time and after hours. ADF & Boundaryline has worked with construction companies, property owners, and designers all over New Zealand to deliver reliable, industrial security gates for all kinds of applications. We have large swing options, canteliever sliding gates and tracked sliding gate options available. Get in touch to see what the best solution for your site is. hassles like heavy timber and steel. They are are expertly welded for strength and longevity. Matching pedestrian gates, gate automation, and a range of hinges and latches ensures ADF can provide the complete package for an elegant entrance way. We can supply and install intercom systems and automatic openers on most aluminium gates.